Now a fully-fledged international, after making his full England debut as a substitute against the Czech Republic, the name of our 18-year-old sensation is on everyone’s lips. However, making his international debut and raising his profile does have its drawbacks as far as the Chelsea support goes. Whilst we’re pleased that Callum Hudson-Odoi is fulfilling his undoubted potential it is galling, this morning, to see his name linked with a move to yet another club. According to the news source, the Daily Mail, Manchester United are the latest club looking to capitalise on the contract impasse that currently embroils the player. 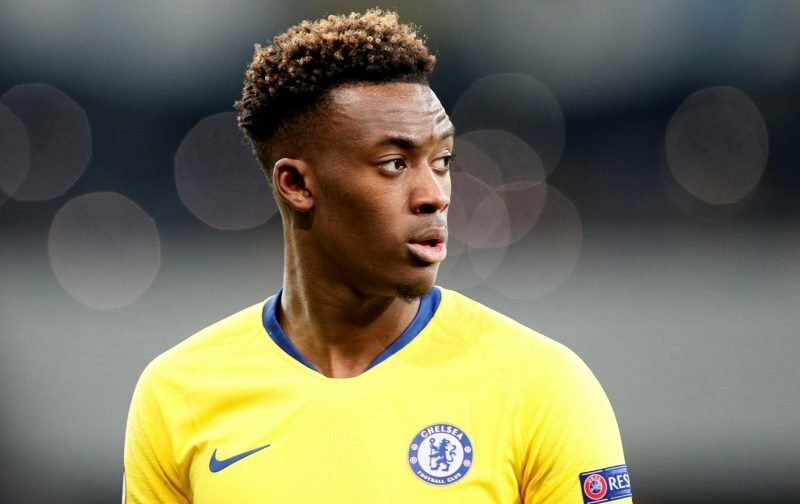 If Hudson-Odoi were to leave Chelsea to join Bayern Munich it would be, for us, a painful experience but if he were to leave Stamford Bridge for Old Trafford it’d be like a dagger through the heart. Why can’t all parties concerned sit down and thrash out a compromise that would end in Hudson-Odoi putting pen-to-paper on a new deal, it’s not too much to ask for, is it?